This has to be one of the ugliest clocks ever created the ugliest clock ever created. Does it really need to play music to get your attention? The graphics are enough to sober up even the drunkest holiday party guest. Is this what the future is going to be like? 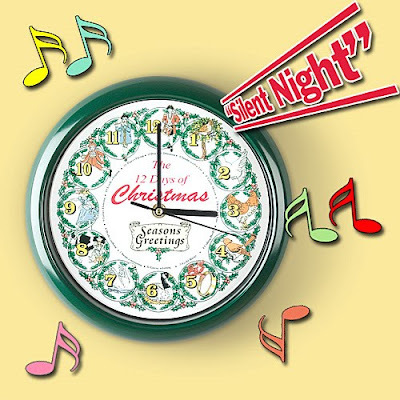 Instead of grandma's house with a bunch of old clocks bonging away at the top of the hour, we're going to be treated to a bunch of electronic shrieking from this one, the chirping bird one, and all the other nightmare clocks that are out there?